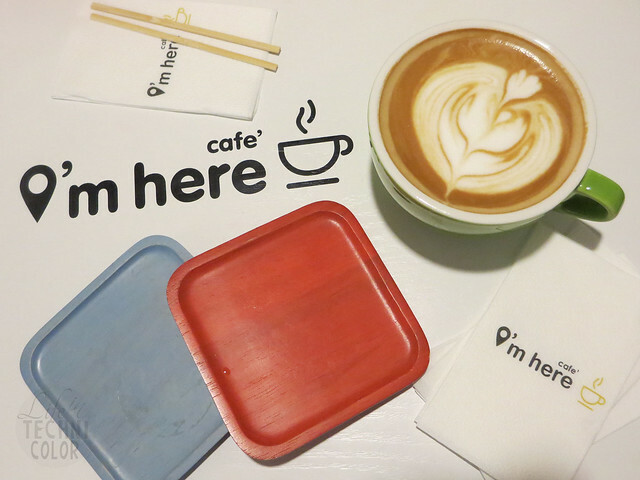 The hippest cafe in the metro! 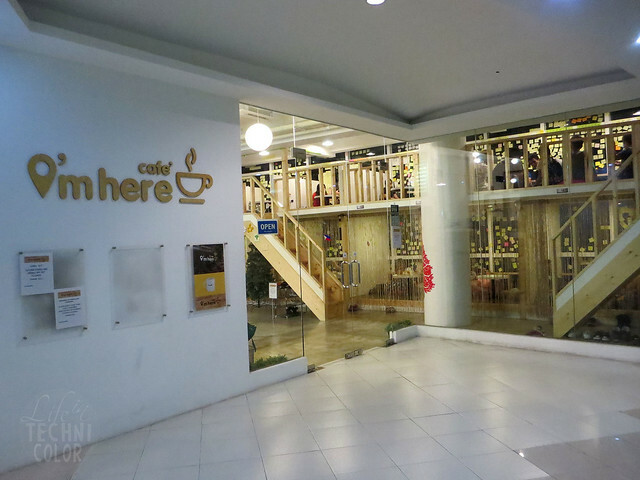 I loved the entire look and feel of Cafe I'm Here. Tim brought me here one Saturday and it would've been great, except for the fact that it was SO NOISY. 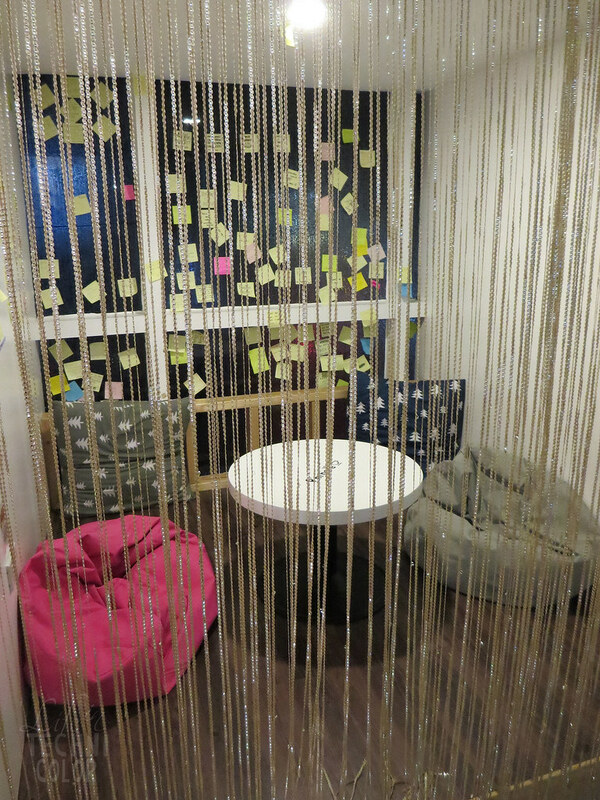 When I first read about this cafe, people talked about it as a place where you can work/study. It was supposedly peaceful and very lowkey but I guess after being featured on numerous websites and blogs, more people found out about it and joined in on the hype. I guess evenings isn't the best time to visit, so if you're looking to get some work done, try heading over during the day. 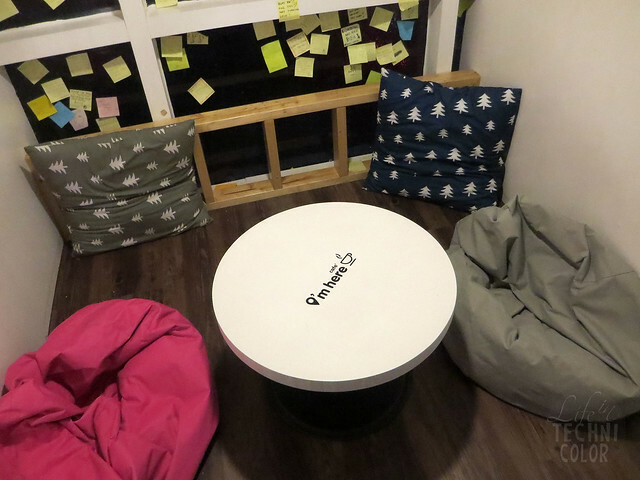 The cafe is made up of cubicles with coffee tables and bean bags for chairs. You have to remove your shoes before going inside. They currently do not have wifi, but I'm not sure if it's a good idea for the owners to even have wifi, since customers will not want to leave..ever. Haha! There are parking spaces available, though it may still be difficult to find a slot at night since there are other restaurants in the same building. 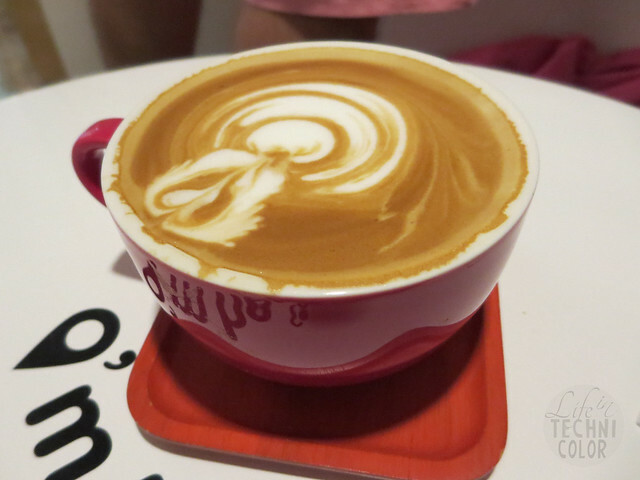 As for the coffee, the Cafe Latte is P130 per cup, while the Caramel Latte is P155. It's a bit pricey, but you're really paying for the experience, so I guess that's fine. 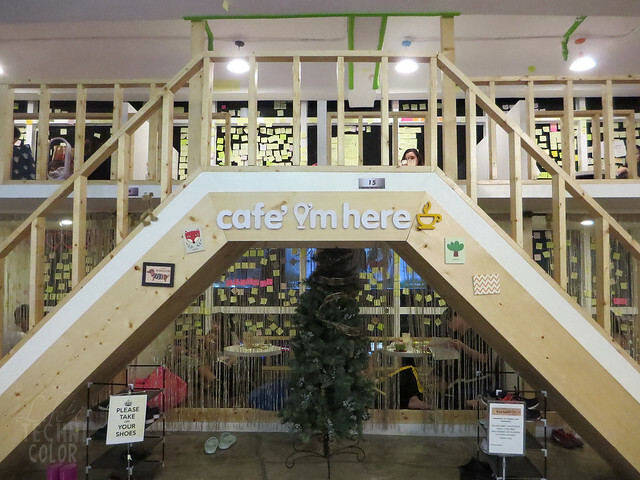 The cafe is a great concept, it really is. And I would love to hang out here more often. But that evening, there was a group of teenagers who were screaming and singing out loud. They really ruined the whole experience for me. It's like they didn't care that there were other people around. 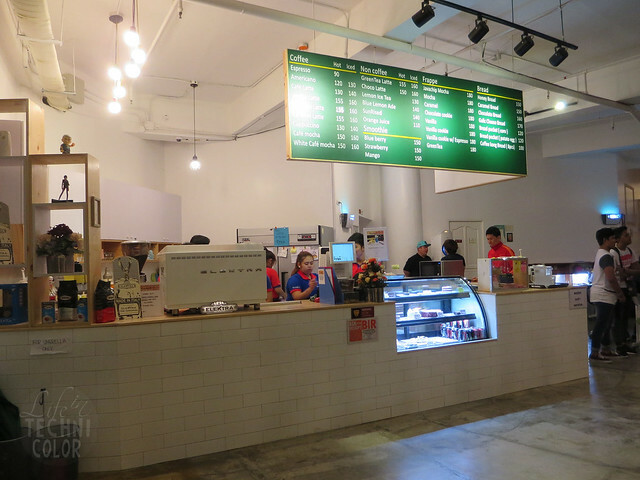 So yeah, it went from being a fancy cafe to being a palengke type of place real quick. I don't know what kind of crowd the owners are trying to attract, and take note, these kids didn't even order anything. They just met up with their friends who were already there. 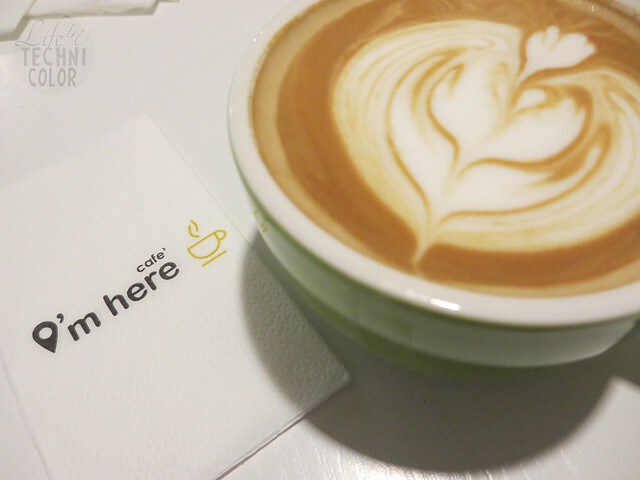 So yeah, maybe try paying Cafe I'm Here a visit and let me know how your experience turns out? 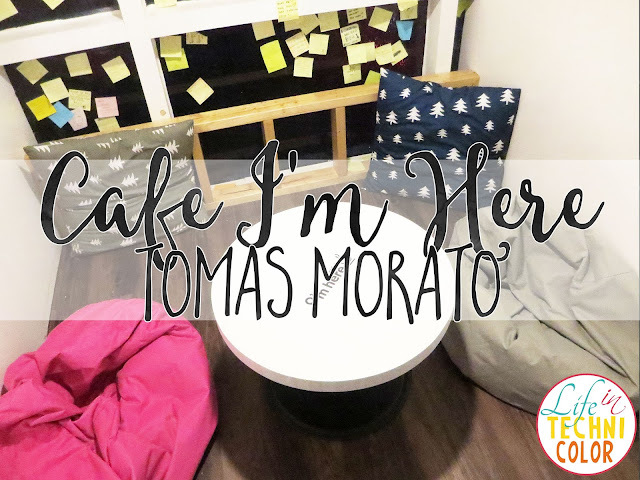 Cafe I'm Here is located at the third floor of CTTM Square, Tomas Morato, Quezon City.